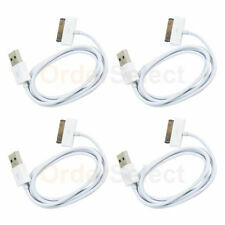 Apple 30 Pin to USB Cable (1m). This USB 2.0 cable connects your iPod, iPhone, or iPad — directly or through a Dock — to your computer's USB port for efficient syncing and charging or to the Apple USB Power Adapter for convenient charging from a wall outlet. Apple iPod Classic Series (3rd Generation) : iPod 10GB, iPod 15GB, iPod 20GB, iPod 30GB, iPod 40GB. Apple iPod Nano Gen1 (1st Generation) Series: 1GB, 2GB, 4GB. Apple iPod Classic Series (4th Generation) : iPod 20GB, iPod 30GB, iPod 40GB, iPod 60GB. 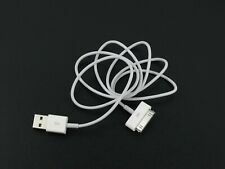 (2) USB Cable Cord for Apple iPod Classic 6th 7th Generation Gen 80GB 120GB 160GB. Compatibility: iPod Classic 6th/7th Generation 80gb/120gb/160gb. Product Details. You are buying, using and possessing this item at your own risk. For iPad 1st, 2nd, 3rd, 5th (video) Generation. Data Transfer Cable for iPod / iPhone with 30 Pin Connector. for iPod nano 1st, 2nd, 3rd and 4th Generation. USB 2.0 for faster transfers Connect with your PC/Laptop by USB port. Apple iPod Classic Series (7th Generation): iPod 120GB, iPod 160GB. Apple iPod Classic Series (5th Generation): iPod 30GB, iPod 60GB, iPod 80GB, iPod 120GB. For Apple iPod. Connectors: 2.0 Mini USB 4-pin male, to USB A male. IPod Classic 120 GB (2008). iPod 5th Generation (video). iPod Touch 4th Gen. iPod Touch 3rd Gen. iPod Touch 2nd Gen. iPod Touch 1st Gen. iPod Nano 6th Gen. iPod Classic 160 GB (2009). Connection: 6-pin firewire to 30-pin end. port or a firewire adapter. A1019 iPod 2nd generation touch wheel 2002 5GB/10GB/20GB Yes Yes Yes No No. A1040 iPod 3rd generation 2003 & 2004 10/15/20/30/40GB Yes Yes Yes Yes Yes. 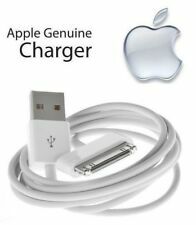 Efficient syncing and charging or to the Apple USB Power Adapter for convenient charging from a wall outlet. 1 X 1m (3ft) USB Cable. 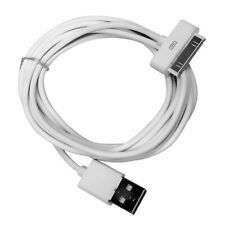 Apple 30-pin to USB Cable (1m) (3ft). This USB 2.0 cable connects your iPod, iPhone, or iPad — directly or through a Dock — to your computer's USB port for. 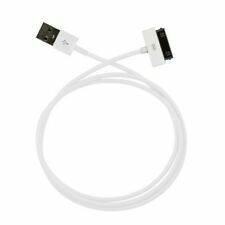 USB 2.0 data sync cable suitable for iPhone， also for iPods and iPads. One end plugs into iPhone ， iPad or iPod's Dock Connector and other end plugs into computer or laptop USB port. Update your iPod at high speed with the latest music and data. Apple iPod Classic (5th Generation) Series: iPod 30GB, iPod 60GB, iPod 80GB, iPod 120GB. Apple iPod Classic (6th Generation) Series: iPod 80GB. Use this USB cable to connect to your computer for syncing and charging or for charging with your USB power adapters. Apple iPod Classic Series (3rd Generation) : iPod 10GB, iPod 15GB, iPod 20GB, iPod 30GB, iPod 40GB. Apple iPod Classic Series (4th Generation) : iPod 20GB, iPod 30GB, iPod 40GB, iPod 60GB. Apple iPod Classic Series (5th Generation) : iPod 30GB, iPod 60GB, iPod 80GB.